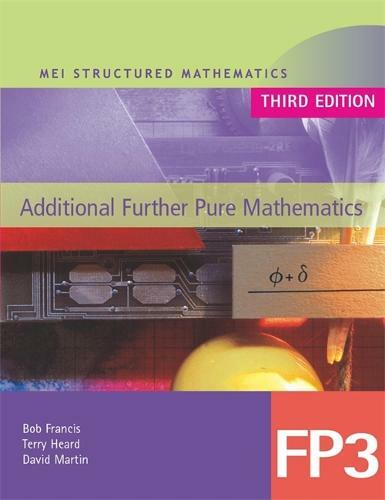 The highly acclaimed MEI series of text books, supporting the MEI Structured Mathematics specification, has been updated to match the requirements of the new specifications, for first teaching in 2004. This series, well known for accessibility and for a student friendly approach, has a wealth of features: worked examples, activities, investigations, graded exercises, key points summaries and discussion points. To ensure exam success there are plenty of up to date exam questions, plus warning signes to indicate common pitfalls. MEI offer full support to schools through their network with newsletters, training days and an annual conference. Additional Further Pure Mathematics (FP3) is an A2 component of Further Mathematics.